Aydin and Rivera are powerful forwards while Tucker is one of the best defensive players in Suffolk. 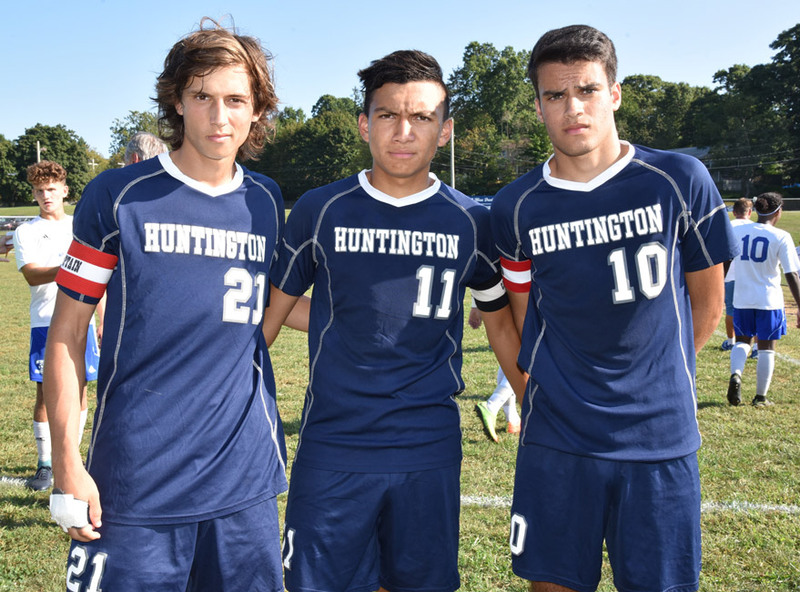 All three are seniors and are essential to Huntington’s goal of having a successful season. In addition to the team’s three captains the Blue Devil roster also includes Tyler Abedin, Kolby Rappel, Christian Bellissimo, Owen Husselbeck, Jose Turcios, Roberto Contreras, Carmine De Iseo, Christian Garay, Rudy Salmeron, Edwin Rodriquez, Arnold Alfaro, Nick Thompson, Juan Salamanca, Manny Reyes, Wilber Cuadra, Jack Langton, Junior Flores, Emerson Forbes, Julian Rentsch, Luke Luckow, Jose Flores and Cole Pillion. Huntington has very high hopes for the season, but the Blue Devils will have to successfully navigate through a challenging schedule against many of the county’s strongest teams. Pagano and assistant coach Jason Suarez intend to push their squad as far as it can go.